The Competition Commission of India (CCI) has dismissed allegations of predatory pricing against cab aggregator Ola by two Bengaluru-based radio taxi operators. Fast Track Call Cab Pvt. Ltd and Meru Travel Solutions Pvt. Ltd had approached the anti-monopoly watchdog in 2015 alleging that ride-hailing unicorn Ola had abused its dominant position in the market by offering heavy discounts to passengers and incentives to cab drivers. The complainants added that ANI Technologies Pvt. Ltd, which operates Ola, had violated the Competition Act of 2002 with its pricing move, as other players in the market did not have the means to offer similar incentives to either commuters or drivers. While ruling in favour of Ola, the CCI observed that the ride-hailing and cab-aggregation industry is still at a nascent stage and any disturbance would disrupt the market dynamics. “At this stage, it is difficult to determine with certainty the long-term impact of this pricing strategy as the market is yet to mature,” the six-member bench comprising CCI chairperson Devender Kumar Sikri and Justice GP Mittal said, while dismissing the petition on the grounds that the evidence on record did not establish the dominance of Ola “in the relevant market”. The Commission had earlier asked the director general of investigation to conduct an inquiry into the complaints. 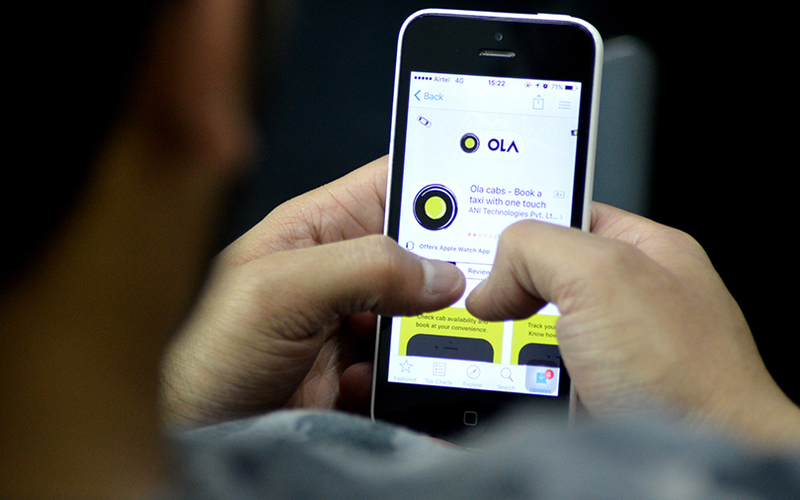 Though the inquiry into the allegations led the investigators to acknowledged Ola’s financial muscle through external funding, it concluded that the cab-aggregator did not enjoy a dominant position as its market share had declined following the entry of global peer Uber Inc., which had a “total capital investment of 15 to 20 times more than Ola’s financial resources”. However, the report went on to add that “other competitors like Meru and Mega Cabs were found to be lagging much behind”. The DG also observed that for a player to have a dominant position in the relevant market, it should be able to hold its market share for a reasonable period of time. During the hearing, the counsel appearing on behalf of the Bhavish Aggarwal-founded company also argued that ANI Technologies merely acts as a facilitator or an intermediary that connects two ends of the supply chain – the taxi service provider and a commuter – and, therefore, it is not in the same business as the complaints, who were ‘radio taxi service providers’. ANI Technologies was represented by Nisha Kaur Uberoi, a partner at law firm Trilegal, while Meru and Fat Track were represented by Zerick Dastur and Udayan Jain.